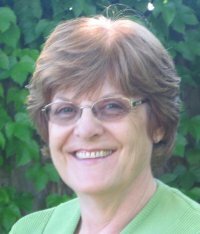 It’s a natural for Gloria Zachgo to write stories with Kansas settings. She grew up on a farm in Lincoln County, where she attended one of the last one-room schoolhouses in the country. After graduating from Brown Mackie Business School she married her high school sweetheart. Gloria Zachgo and her husband currently reside in Wichita, Kansas. 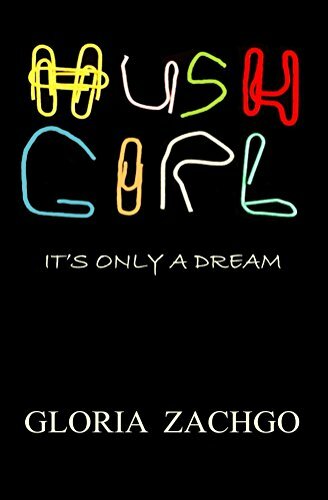 HUSH GIRL : It's Only a Dream (Kindle, 2017) Awarded the indieB.R.A.G. Medallion 2017. “Please tell me about my birth,” Julie went on, “and the first couple of years of my childhood. I realized that I don’t have any pictures of me when I was a baby. 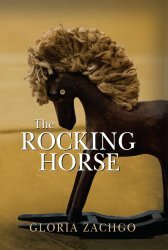 I need to know.” Julie had managed to keep her voice firm even though her insides were twirling. The silence in the room was deafening. Katherine looked ill. But Julie had to know if there was a possibility that she could have had a different mother. Julie waited patiently as Katherine finally lowered her head and began crying softly. And then Julie knew that her very existence as she had known it was a lie. 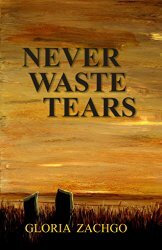 Never Waste Tears is the story of five individuals—told in their own voice. They are the courageous people who paved the way for generations to come. Each had their own reason to leave their families and everything they knew. The land was free—the true price—often high. Five journeyed into the unknown, where opportunities and tragedies were in equal abundance. Those who were strong didn’t’ waste their tears, but used them wisely to help wash away their grief.